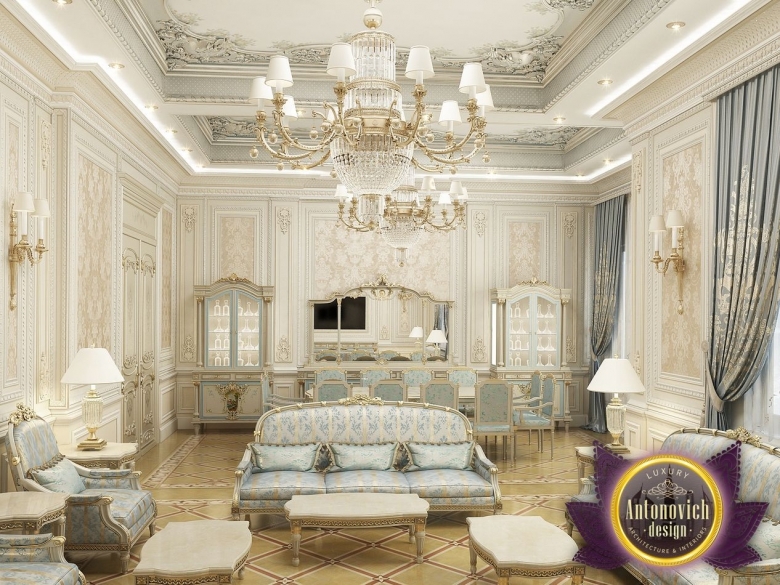 Luxury interiors that create studio designers Luxury Antonovich Design, always reflect a high style and perfection. Interior room in classic style has its own unique character. Gamma of Bright shades adjusts for easy perception of space. 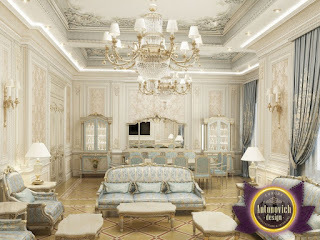 In such an interior feel the serenity and pleasant emotions. 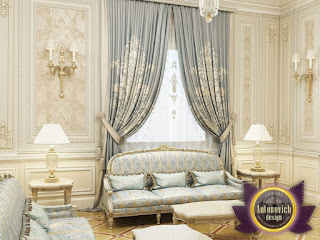 Comfortable furniture is upholstered in silk with gold embroidery. Silver curtains in the windows complement the decoration of the noble image of the interior. 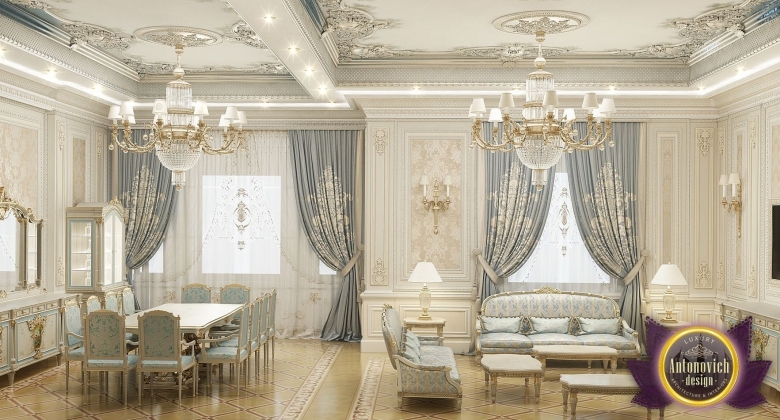 Stucco on the ceiling with silvering became focus on the uniqueness of the living room interior. The walls are decorated with silk wallpaper damask patterns in cream color. And on the floor in an interior fit perfectly parquet precious wood. 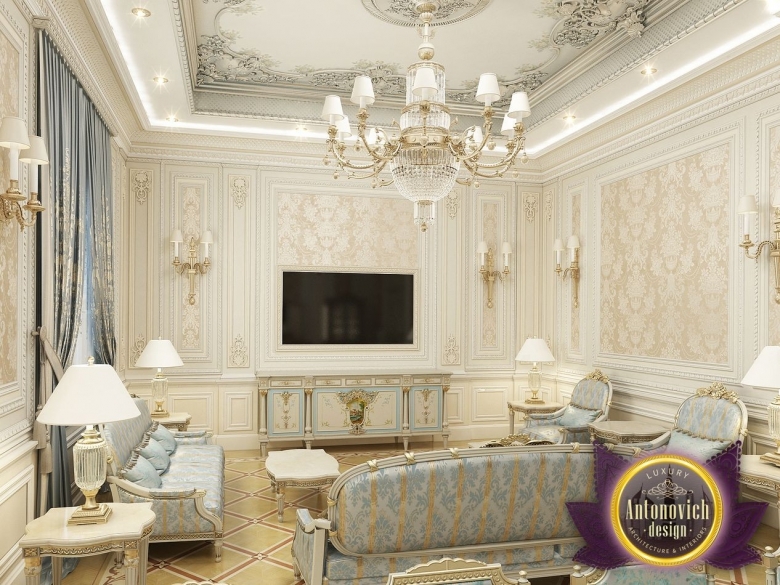 Interior living room attracts attention and gives a feeling of pure joy.